Police are appealing for information after an armed robbery in Burnley on Saturday night. Police are appealing for information after a petrol station was held up by robbers wielding knives and machetes in Burnley over the weekend. The incident happened at 10pm on Saturday when a silver Nissan Duke pulled up near to the petrol station at Asda as the staff were locking up and leaving for the night. Three men exited the vehicle and approached the three workers – two women and a man. The men, who were wearing balaclavas and armed with knives and machetes, made demands for money before pulling a rucksack from the back of one of the women. This caused her to fall to the ground, sustaining injuries. The men made off in the vehicle, which was later found abandoned nearby on Holme Road. It is believed a second vehicle was used to leave the scene – a black Audi A1. Following inquiries, both vehicles were confirmed stolen from an address in Padiham earlier in the evening. 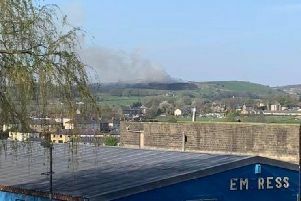 Detective Constable Andy Lever of East CID, said: “This has been a truly terrifying experience for the people involved. "Luckily nobody suffered serious harm, but we need to find the people responsible as quickly as possible. “If you witnessed the incident or saw anything suspicious in the area, we need to hear from you. Anyone with information should call 101 quoting log number 1515 of 24th November or email 2096@lancashire.pnn.police.uk.